Commercial Carpet Cleaning at its Best! No matter how well you take care of your carpet, eventually it will need a cleaning. It’s tempting to put it off because carpets get dirty at a slow rate, but one day you will realize that it needs to be treated by a professional. The best and most obvious reason you will want to have your carpet cleaned is because it will simply look nicer. It makes for a happier home, a more comfortable workplace, and generally leaves a good impression. Leaving a good impression is particularly important for your business, because first impressions can make the difference between someone coming back and staying away. Additionally, a clean carpet in your business is better for all around employee satisfaction, which means better productivity. Cleaning your carpet isn’t always just for making it look nice or smell better. Having the carpet in your home or business cleaned regularly will help it last longer, as well. Did you know that dirt can work its way into the carpet pile and become embedded between the fibers of your carpet? If this happens, the dirt will abrade and break the individual fibers, which may mean you will have to have it replaced sooner. Finally, a clean carpet is better for the health of those who use it. In your home it can trap air borne allergens that can make your children sick. In your business it can reduce dirt and other bacteria bearing entities. When it comes to having your carpet cleaned, it’s important that you hire someone with professional experience and skill. Whether it’s your home or business, we excel at all aspects of carpet cleaning. 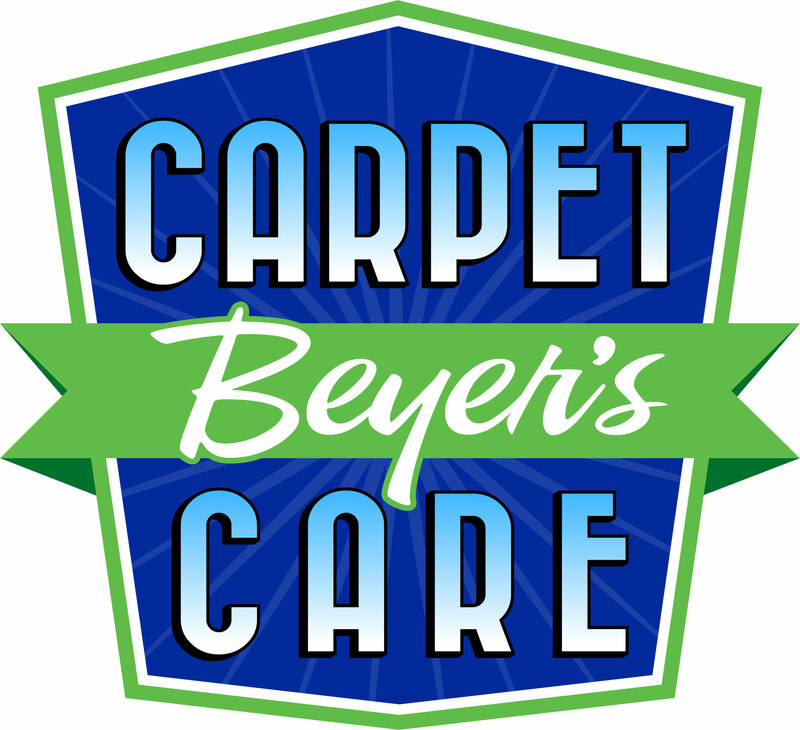 When you choose Beyer’s Carpet Care, you can be assured that the owner is on EVERY job. We are solely owner operated. This way, you know who is in your place of work and in your home at all times. In business since 1993, Derek has had excellent industry-driven training and ample experience. We specialize in commercial carpet cleaning, and we do clean residential carpet as well. For commercial carpet we offer a Free Demonstration. Call Derek to schedule your Free Demonstration, where he’ll gladly drive out to your facility and clean your worst area of carpet for free. While he is there he will measure your carpet and give you a free quote. This way you can see exactly what we can provide for you, with no obligation. We simply want the opportunity for you to be thrilled at seeing how clean your carpet will look. Click here to see our carpet cleaning image gallery.